Buy or Rent Lee Scratch Perry's Vision of Paradise (2015) Movie DVD & BluRay Online! 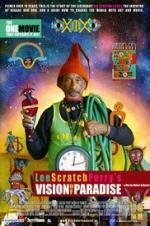 Movie Plot: Lee Scratch Perry’s Vision of Paradise is a unique project in many ways. It is the life story of the legendary musician, but it is not a biography, it is a fairytale documentary! The director followed Lee Perry for thirteen years and discovered an unbelievable story, a revelation, told about and with one of the major protagonists of contemporary music, the other half of the story that has never been told. The movie can be seen as a guide for how to change the world with music, with a positive attitude, mindset or, as Lee Perry calls it, vibration.